Regulates communication of hazardous materials in the workplace. 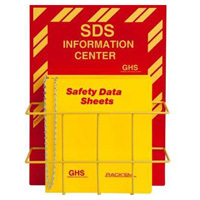 Primary topics include Safety Data Sheets (SDS's), Labeling/Signage, and Training. The previous version of this regulation and inspection guidelines is available at the bottom of this page. We've compiled 427 Official OSHA interpretations on the Hazard Communication Standard (and a few on related issues). As with the Standards above, we have made these much easier to read and use. Some of these interpretations are now obsolete and refer to earlier versions of the Standard (1984, 1994) which have since changed rather significantly. Please be certain to interpret these documents in their historical vs current contexts. We are making an effort to review these interpretations and help the reader determine if they still have any validity, but this is just our opinion only and should not be relied upon as legal advice. You can browse these by sequentially by title or perform a full-text search of all the documents using the search box at the top of each page in this section. (12/14/2015) Labeling requirements for absorbent clay products in various packaging configurations. (11/23/2015) HCS labeling of imports and exports. (11/16/2015) Enforcement discretion for distributors on limited continued use of HCS 1994 labels. (10/15/2015) HCS requirements for RCRA and non-RCRA waste. (10/02/2015) The labeling elements required on the safety data sheet (SDS) under the Hazard Communication Standard (HCS 2012). (09/03/2015) Labeling of small containers in the laboratory. (09/01/2015) Use of 1994 HCS labels on containers packaged for shipment. (08/25/2015) Hazard communication pictograms; single color and economic feasibility. (08/13/2015) The requirements for reporting safety data sheet (SDS) information under the Hazard Communication Standard. (08/05/2015) Hazard communication effective dates and labels. (07/28/2015) Hazard communication 2012-compliant labels and safety data sheets on shipped containers of hazardous chemicals. (07/27/2015) Hazard communication effective dates and SDSs. (07/02/2015) HCS 2012 pictograms for aerosol air fresheners. (06/29/2015) Applicability of gas detector tubes under Hazard Communication 2012. (06/29/2015) Label requirements between CPSC and HCS 2012 and aerosol products. (06/29/2015) Definition of complex mixture. (06/19/2015) Correct use of product identifiers on safety data sheets and labels. (05/21/2015) Safety data sheets and label requirements. (04/23/2015) Intentionally blank pictograms not allowed in HCS 2012. (03/27/2015) Hazard communication requirements for commercial ink cartridges. (03/24/2015) Requirement for Unknown Acute Toxicity Statement. (02/10/2015) Use of multiple countries' information on labels of hazardous chemicals. (02/10/2015) HCS classification and labeling requirements for products containing crystalline silica. (12/23/2014) The requirement for single or multiple SDSs. (12/23/2014) OSHA jurisdiction over railroad employers with regards to the Hazard Communication standard (HCS). (12/23/2014) Acceptable use of pictograms on chemical labels under the revised Hazard Communication standard..
(12/23/2014) Applicability of OSHA's Hazard Communication Standard for truck drivers hauling waste products that are exempt by EPA. (11/27/2014) What is the correct grouping/placement of the six required elements for labels. (11/10/2014) Labeling of secondary containers in laboratories under the Hazard Communication standard. (11/10/2014) Clarification on combining hazard statements on labels under the hazard communication standard. (06/13/2014) Clarification on effective date of SDSs replacing MSDSs. (05/12/2014) CPSC versus HCS 2012 labeling requirements. (03/04/2014) Application of OSHA's Amended Hazard Communication Standard (HCS 2012) to Combustible Dust (1910.1200). (03/04/2014) OSHA's Amended Hazard Communication Standard (HCS 2012 ) regarding Petroleum Streams. (03/04/2014) OSHA's Amended Hazard Communication Standard (HCS 2012) about Hazards Not Otherwise Classified. (03/04/2014) OSHA's Amended Hazard Communication Standard (HCS 2012 ) about classification criteria for Single Target Organ Toxicity. (12/27/2013) Classification of Combustible Dusts under the Revised Hazard Communication Standard. [1910.1200; 1910.1200(d)]. (12/02/2013) Interim Guidance on Enforcement of the revised Hazard Communication Standard. (11/19/2013) List in SDS section 3 when the classification is based on mixture data. (09/20/2013) Labels on ampoules 5 mL or smaller. (09/11/2013) Practical accommodation for hazard communication labels on small shipped chemical containers. (06/04/2013) NIST labeling of Small Packages. (05/13/2013) Electronic distribution of safety data sheets (SDSs) under the revised Hazard Communication standard. (04/15/2013) Hazard Communication Standard labeling and SDS for laboratory nuclear standards. (04/02/2013) Use of split entry concept under OSHA's Hazard Communication Standard (HCS 2012 ). (03/25/2013) Request for Interpretation of OSHA's Hazard Communication Standard for Combustible Dust. (03/22/2013) Manufacturer's name and address on the label of a chemical product under HCS 2012. (01/31/2013) Employers responsibilities under HCS 2012 to classify hazards and create SDSs for products whose manufacturers are no longer in business. (01/31/2013) Clarification on labeling and SDS requirements under HCS 2012. (12/20/2012) Pictogram requirements for product labels under the revised Hazard Communication standard. (11/21/2012) Clarification of OSHA safety requirements between a temporary staffing agency and its client. (08/24/2012) Labeling requirements for Diatomaceous Earth. (07/13/2012) Hazard communication of ammonia gas from new fuel additive in diesel trucks. (01/09/2012) Dental office employers with one or more employees must comply with the OSH Act. (12/20/2011) Clarification on the applicability of the Hazard Communication standard DEF tank operations. (11/22/2011) Clarification of sampling and testing protocols for determining employee exposure to airborne contaminants. (11/17/2011) Requirement to list carcinogens on labels under GHS. (10/18/2011) Clarification of Hazcom provision intended to preempt conflicting state regulatory actions, but not tort claims. (06/15/2011) Requirement to name hazardous ingredients on MSDSs. (06/09/2011) Determination of a manufactured product as an article under the Hazard Communication standard. (05/19/2011) Applicability of the Hazard Communication standard to DEF tank operations. (10/06/2009) Using the Globally Harmonized System (GHS) to Comply with OSHA's Hazard Communication Standard. (08/31/2009) Use of physical versus mailing address of the responsible party listed on the MSDS. (05/19/2009) Application of OSHA PEL for nitric oxide as 8-hr TWA to pregnant employees. (02/27/2009) Alleged deficiencies on an MSDS for one of Icynene's insulation products. (01/14/2009) Alleged deficiencies contained on a material safety data sheet (MSDS) for a spray-on insulation product (the Icynene Insulation System). (12/22/2008) Requirements of the HCS and the employer's ability to rely on a manufacturer's hazard determination. (12/22/2008) Requirements for labeling products that contain a nitrate or nitrite. (09/16/2008) Whether written programs may be kept solely in an electronic format. (07/31/2008) Requirements for labels and material safety data sheets for distributors of lumber. (07/17/2008) Chemical manufacturer's responsibility with regard to inorganic arsenic under OSHA's Hazard Communication Standard. (05/23/2008) Storage and use of compressed gas cylinders; whether cylinder is considered an oxidizing compressed gas or oxygen cylinder. (04/18/2008) Clarification of the requirement to provide accurate and current hazard information on an MSDS. (04/14/2008) Request to provide list of corrosive materials and concentrations requiring use of emergency eyewashes and showers. (07/03/2007) Requirement for employer to assess potential hazards of handling trailer debris to provide necessary PPE and hazard communication information to affected employees. (05/03/2007) Manufacturer and distributor requirements for developing MSDS for hazardous products. (03/07/2007) MSDS requirement for occupational use of cosmetic Gentian Violet. (03/07/2007) Use of generic MSDSs written by third-party companies and employer responsiblities when using an online MSDS service. (01/25/2007) Responsibility of chemical manufacturers and importers to provide MSDSs to one or more establishments owned and managed by same employer. (06/12/2006) Operations that trigger the requirement for employers to provide washing facilities on construction jobsites under 29 CFR 1926.51(f)(1). (10/24/2005) Training programs for the Control of Hazardous Energy (LOTO) and for the Hazard Communication standard are not satisfied solely by merely providing employees written documentation. (04/27/2005) Requirements for maintaining Material Safety Data Sheets (MSDSs) for coal including coal dust, fly ash, and silica dust. (04/14/2005) Requirements for maintaining material safety data sheets (MSDSs) for consumer art products and office cleaning products. (04/04/2005) Requirement to disclose all chemicals having scientific evidence that they pose a health risk regardless of concentrations present in the product on the MSDS. (02/08/2005) MSDS's must be provided to employees who package/process drugs for distribution into final form if they contain hazardous chemicals. (07/08/2004) Hazard Communication: classification of uninterruptible power source batteries and office chemicals as consumer products. (05/27/2004) Requirements for manufacturers, who are no longer in business or have discontinued a product line, to provide MSDSs and product information. (02/11/2004) Application of the hazard communication standard to latex paints containing less than 6% crystalline silica. (02/05/2004) Material safety data sheet requirements for experimental chemical mixtures that are shipped off-site. (10/16/2003) OSHA-recognized chemicals as carcinogens or potential carcinogens for Hazard Communication purposes. (08/27/2003) Current OSHA initiatives to improve quality of chemical hazard information provided to workers. (05/12/2003) Determination of airborne concentrations of methylene chloride; protection of employees covered by 1910.1052. (03/27/2003) Employee and employee representative access to MSDS; accompanying CSHOs on inspections. (08/26/2002) Standards that apply to cotton gins. (10/23/2001) Criteria for trade secret status. (03/23/2001) Storage of flammable liquids and corrosives in the same cabinet. (01/23/2001) Hazards of Inipol EAP22 used during cleanup of oil spills. (01/11/2001) Labeling requirements under the HAZCOM and Laboratory standards; use of safe needle devices. (01/19/2000) Responsible party for MSDSs and labelling of imported chemicals. (01/06/2000) OSHA policies concerning employees working at home. (12/07/1999) Employee access to MSDSs required by 1910.1200 vs. 1910.1020. (11/10/1999) LOTO of hydraulic systems; postal workers' exposure to hazardous material spills. (11/01/1999) HAZCOM: Clarification of "article" and "hazardous substance"
(03/19/1991) Enforcement of the Hazard Communication Standard as it relates to "vegetable oil mist"
(06/27/1990) "Guidelines for the preparation of warning labels for carbon and graphite electrical products"
(01/20/1987) Clarification of the terms "appropriate hazard warning" and "mandatory"
The 1994 HazCom Standard (HCS 1994) has been superseded by the HCS 2012. The documents provided below are for historical purposes only and should not be relied upon for current regulatory advice. A comparison of the 1994 and 2012 HCS with strikeouts and additions in red and green, respectively, as well as some additional commentary. Regulates communication of hazardous materials in the workplace. 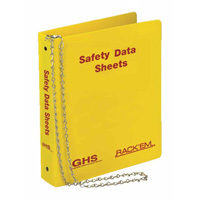 Primary topics include Material Safety Data Sheets (MSDS's), Labeling/Signage, and Training. Appendix A - Clarifications and Interpretations of the HCS. Appendix B - Sample letter for a label or MSDS query to a manufacturer. Appendix C - Hazard evaluation procedures. Appendix D - Guide for reviewing MSDS completeness. Appendix E - Sample written Hazard Communication Programs. These are meant as starting points to help you comply with the HCS.